NORTHERN youth group, Arewa Youth Assembly (AYA) on Tuesday described a call for removal of Special Adviser to President Muhammadu Buhari (Niger Delta) and Chairman/Coordinator of the Presidential Amnesty Programme, Brigadier General Paul Boroh (rtd) as misleading attempt by its promoters. 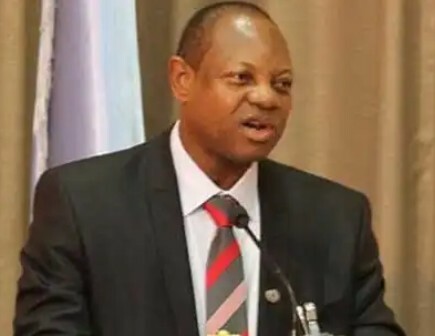 A group has recently called on President Buhari to remove Brig-Gen P T Boroh as fondly called from his responsibly over the allegation of misappropriation of funds. But in a statement, Speaker of AYA, Mohammad Salihu said, the allegation of misappropriation of funds was not true, citing some of the achievement of the former Commandant of the Nigerian Army Peacekeeping Centre (NAPKC) Kaduna, as basis for its position. To him, “We discovered that the puerile tissues of lies was authored by agents of desperate politicians who are trying to replace competency with incompetency. “They know full well the illimitable leadership values, hence they are afraid of his domineering tendencies and overbearing inclinations. Boroh’s robust pedigree and profundity of prospects cannot be ignored by anyone or group. “We at the Arewa Youth Assembly have course to breathe air of satisfaction having seen the performance profile of Brig-Gen Boroh’s service and contributions and we appreciated him knowing full well that, there is always room for improvement. “We read series of press statements on Newspapers, and some that went viral on social media platforms about the Brig. Gen P.T Boroh. After reading the piece, what we saw was a poorly researched and badly written piece. “They have simply exposed themselves as a group who blows nothing but air in widespread analyses. We declare on our honor that we speak through this medium uninfluenced by any unworthy motive except the dictates of our conscience. “The implementation of the smart agenda started in full force with thousand of youths already benefitting from it. Some of the beneficiaries are studying in 16 countries around the world and in 15 local universities. Under Boroh in 2015/16; 1,294 delegates were deployed to various universities, while the most outstanding students with first class were retained as lecturers in their respective universities. “Over 14,000 young persons have been trained in various entrepreneurship and vocational skills, with most of them empowered with start- up packages to establish their own businesses. “Youths were trained as internationally certified pilots, Air traffic controllers, Aircraft maintenance engineers, medical practitioners, Artisans, internationally accredited chefs and hospitality managers, as well as automobile engineers, electrical technician have acquired training under his leadership”.